The villas and apartments below are all either inside or within 1 km of a town or village, and have a shared swimming pool on site. Pieve di Sant Ippolito, Asciano, Tuscany. 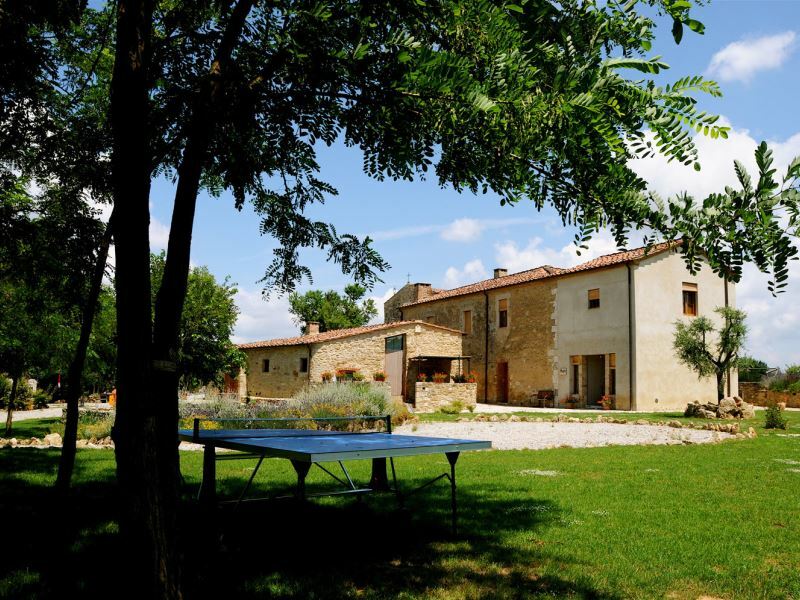 Small 2 bedroom house, sleeps 4, just 500m from Asciano (pedestrian path).Swimming pool and whirlpool bath used sometimes by the owners. Satellite TV and internet access. Montegufoni Castle, Montagnana, Tuscany. 39 units in a castle dating back to the 12th century. Shared pool. 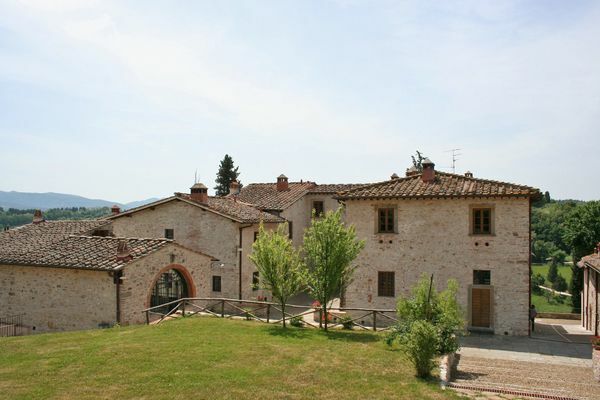 1 km from Montagnana with food shops and restaurants. 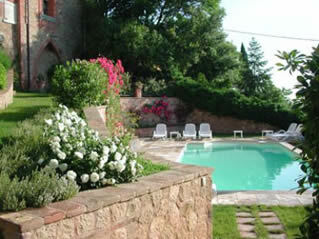 Le Fonti, near village of Grassina (just 1 km away), Tuscany. Convenient location for weddings etc. Only 10 km from the centre of Florence. Divided into 15 apartments. Sleeps 50 in 25 bedrooms, 25 bathrooms. Swimming pool with jacuzzi area. Fonte del Castagno, Sinalunga, Tuscany. 3 apartments (sleeping from 3-6 people) with shared pool on the edge of the small town of Sinalunga, with shops and services of all kinds. Antique furnishings.